The Peoples Democratic Party has vowed to win Lagos State in the 2019 governorship election. The Lagos State chapter of the Peoples Democratic Party (PDP) says it has perfected plans to capture the state in 2019. The party’s chairman in the state, Moshood Salvador, disclosed this during a chat with newsmen in Lagos. According to him, the determination of the party to win Lagos State, for the first time, was unwavering, adding that the PDP had been repositioned to achieve this feat. 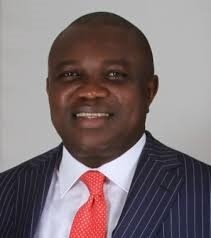 Salvador said the ruling All Progressives Congress (APC) led by Akinwumi Ambode had disappointed the people of the state and they were yearning for the PDP to takeover in 2019. “PDP is ready to win the state in 2019; we have perfected our strategies; we are going to kick APC out because they have failed. “We are not going to reveal or discuss our strategies on the pages of newspapers because the opposition and some people might go and block our strategies. “But we are ready, party members are ready, we are ready to win Lagos in 2019,” ‎he said. According to him, Ambode has not done much to meet the expectations of residents. He said it was big irony that a government that was claiming to have done well was imposing “obnoxious “Land Use Charge on residents’ properties. “A performing government will not impose an obnoxious Land Use Charge in spite of the huge resources of the state. “If they need money, they should make a lot of investments to get more revenue, not to unfairly tax residents,” he said.